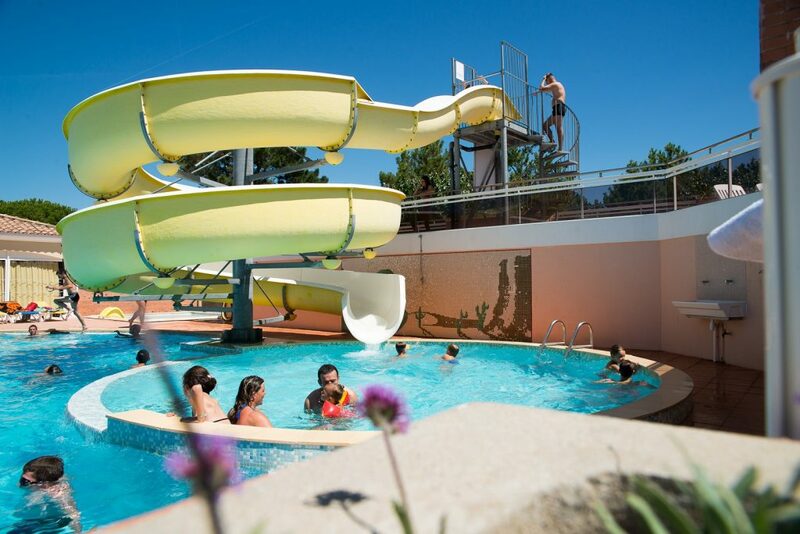 Open from mid-May to mid-September, the campsite pool area invites you to cool off and share a fun time in one of the three pools, suitable for all ages. N.B. 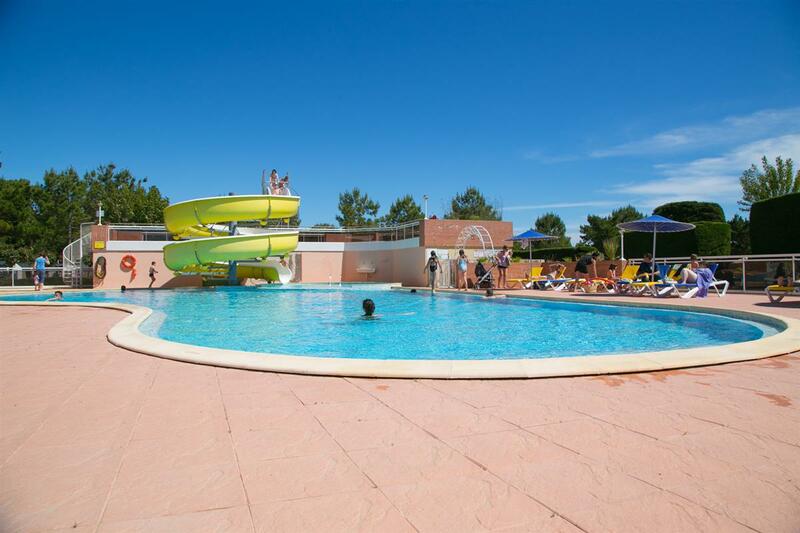 : Access to the pools is regulated and reserved for residents of the campsite only. A bracelet must be worn to gain access to pool area. 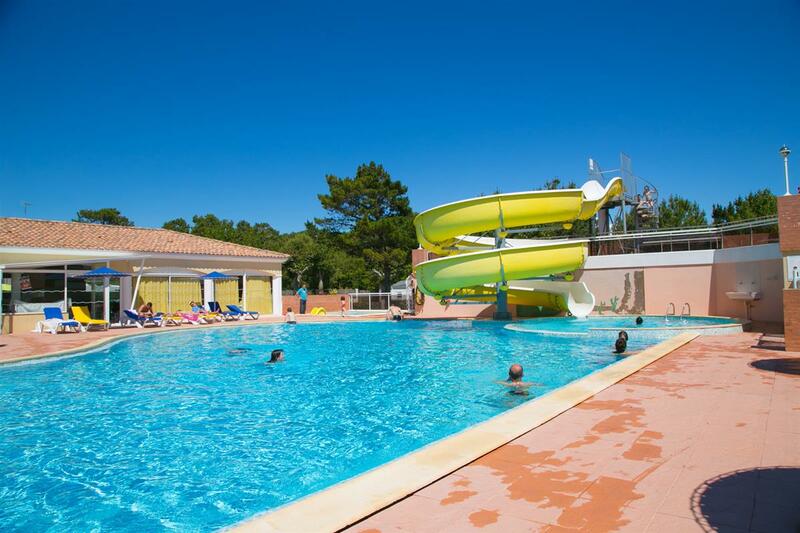 We wish to specify that swim shorts are strictly forbidden in the pool area of the campsite. 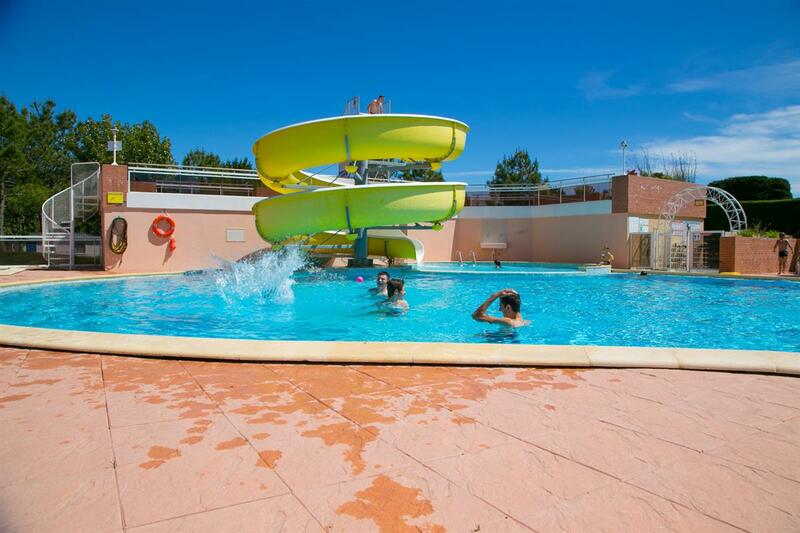 A place of relaxation, between cooling off and sunbathing. 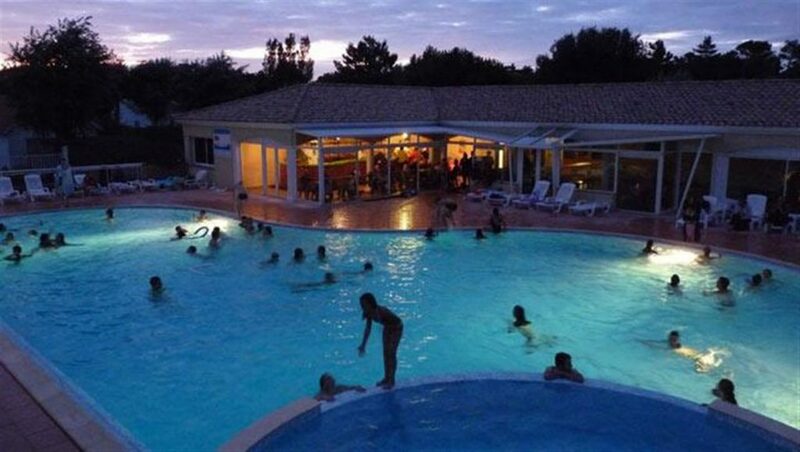 The adult pool is 25 metres long. 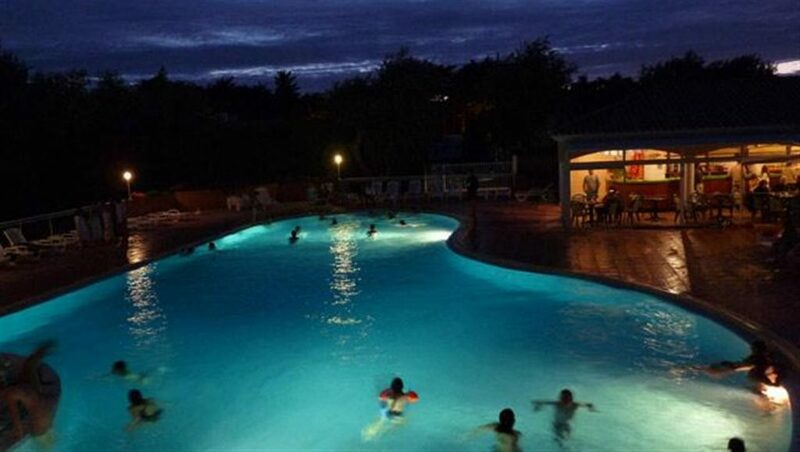 Here, you can swim a few lengths and shape your body like an Olympic athlete. In 25° water, take the time to unwind by swimming a few strokes in the pool or relax in the shade of the parasols on the terrace’s sunbeds. You can appreciate an equally refreshing break with a cocktail at the bar, inside or on the terrace directly looking onto the pool. 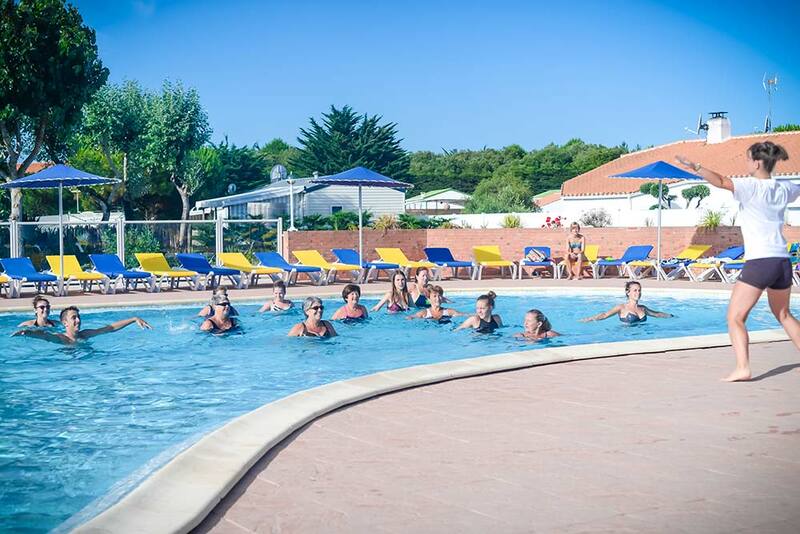 Make a splash with the various aquatic activities organised by our friendly group leader, such as water polo competitions and enhance your competiveness. Please note that our swimming pool is not supervised and that swimming trunks are strictly forbidden. 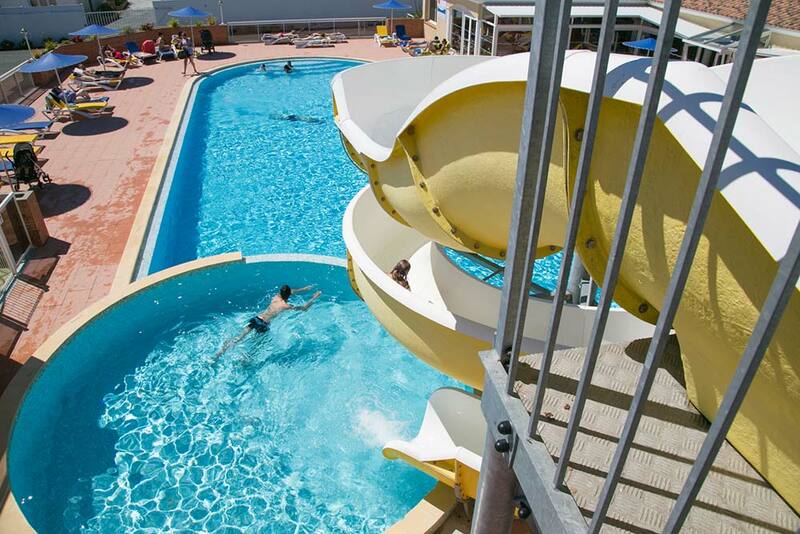 Lots of thrills and spills for the little ones who won’t be like fish out of water. 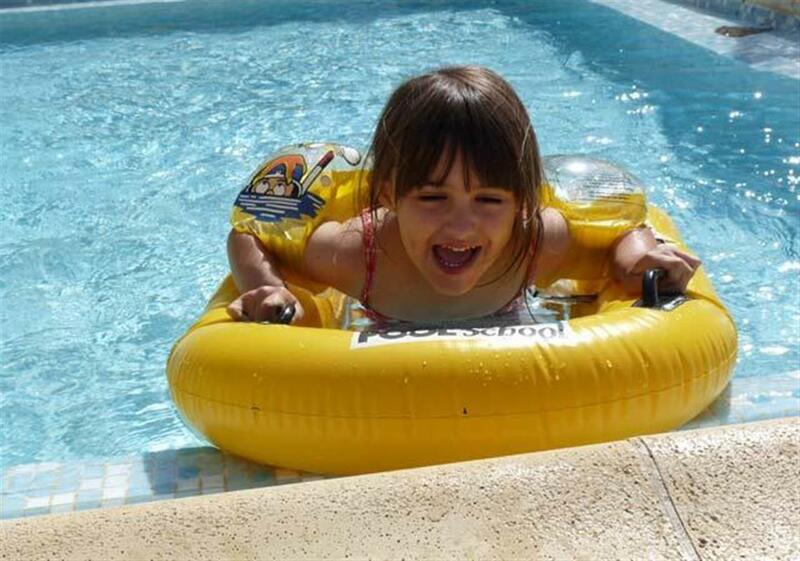 The paddling pool will delight little kids from 0 to 4 and is totally safe. 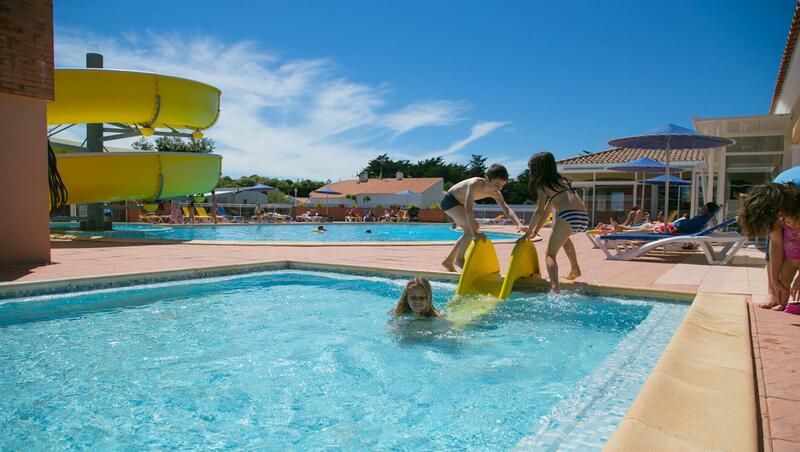 It is the ideal place to teach young children how to swim and familiarise them with the benefits of swimming. 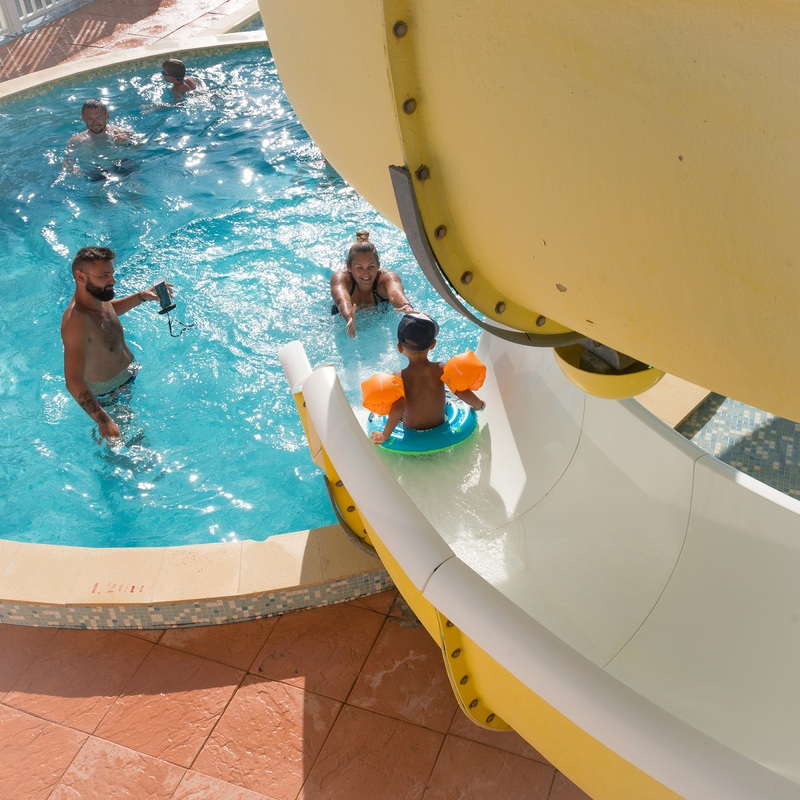 The small yellow slide introduces them gently to the water; they can have a little slide before ‘taking the plunge’ into the small pool. In 25° water, enjoy some special time with your children and get them to discover the joys of paddling in a totally safe area adapted to very young children.